The New Market West HOA is located in Frederick County Maryland and nestled in the foothills of the Blue Ridge Mountains adjacent to the historic town of New Market. Our community consists of 207 single-family homes and 177 town homes with amenities including a pavilion, playgrounds, tennis and basketball courts, and open green space. Our community is located near I-70 with convenient access to both the I-70 and I-270 highway systems. 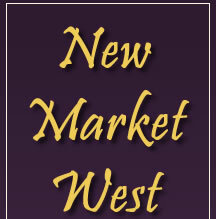 Our neighboring town of New Market was established in 1793 and served as an important stop for travelers heading west. In 1975, the town was placed on the National Register of Historic Places. Today, the main street of New Market maintains a small town feel and consists of an assortment of shops and dining establishments. If you have any questions please contact our Community Manager Nicole Borie at nicole.borie@pmpbiz.com.